Who woulda thunk it? Releasing a sequel to Dumb and Dumber, twenty years later, has turned out to be a smart move. Dumb and Dumber To, reteaming original stars Jim Carrey and Jeff Daniels, pulled in $38 million in its opening weekend, leading all films at the box office. 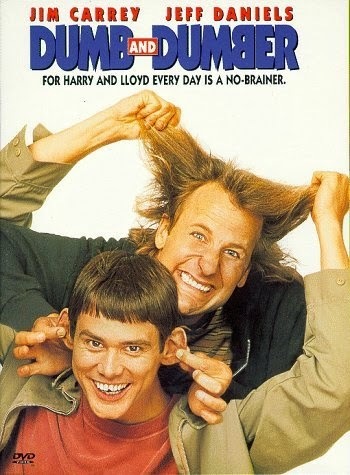 The 1994 Dumb and Dumber launched the careers of the Farrelly brothers. It further confirmed that Jim Carrey – also featured that year in Ace Ventura: Pet Detective and The Mask -- was a genuine comedic star. Carrey and the Farrellys have gone on to be household names, especially in households that appreciate outrageous goofiness. Far less well known are the film’s producers. But one of them is a former colleague of mine, and it’s a pleasure to salute him here. Brad’s role initially was to handle Concorde’s business affairs, looking for new opportunities as well as new sources of movie funding. His hunch about video quickly paid off: “As the video business grew, we were at one point the largest supplier. We had deals with every major video distribution company in the world, to the point where we had orders in excess sometimes of 30 to 40 films a year we had to produce, because we had all these orders. It was a really extraordinary period.” (I personally remember those busy days quite well. Yes, it was extraordinary!) Though Roger sent him out on occasion to slap competitors with lawsuits, Brad had no delusions about his prowess as a litigator. But moviemaking quickly got into his blood, and the lessons he learned from the master have stayed with him ever since. Brad Krevoy is now the producer of over one hundred films, including the Emmy-nominated Iraq War teledrama, Taking Chance and the upcoming holiday romance, A Royal Christmas. All hail to yet another Cormanite who didn’t take dumb for an answer. All hail indeed - I so enjoy hearing stories of the successful graduates of Corman College - and Mr. Krevoy is obviously Smart and Smarter - as his long producing career and success shows. I wish I could have jumped on the bandwagon during that heyday of Corman production! I thank you, Mr. C.,and I'm sure Brad would thank you as well. And Here’s to You, Mr. Nichols . . . Crying at Movies: What’s Grief Got to Do With It?